A team from International Centre for Integrated Mountain Development (ICIMOD) returned from Bihar convinced that lending mountain perspective to the concept of climate-smart village is very relevant today. The team, from Regional Programme on Adaptation to Change, that paid a visit to the climate-smart village in Bihar, India, feels mountain perspectives would be important to particularly generate knowledge on farmer centric adaptation to climate change. 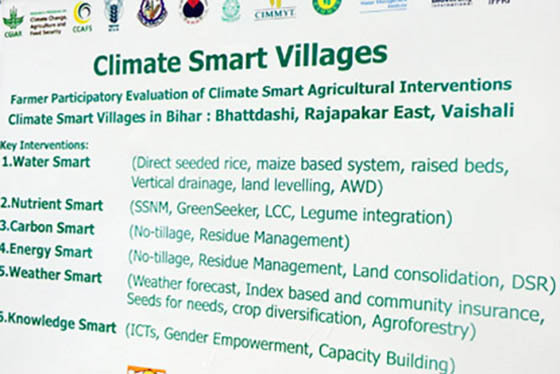 Climate-smart villages are an undertaking of the CGIAR Research Program on Climate Change, Agriculture, and Food Security (CCAFS) where researchers, development partners, and farmers come together to test climate-smart agricultural interventions. Developed in partnership with the communities, these sites aim to boost farmers’ ability to adapt to climate change, manage risks, and build resilience. Climate-smart villages also hope to improve livelihoods and incomes and, where possible, reduce greenhouse gas emissions to ensure sustainable solutions. During the study visit, the team had extensive on-site interactions with farmers and International Water Management Institute (IWMI)/ International Maize and Wheat Improvement Center (CIMMYT) staff. The team also interacted with the CCAFS regional coordinator in New Delhi. The visit explored possible partnership for similar pilots in the mountainous areas of Nepal. 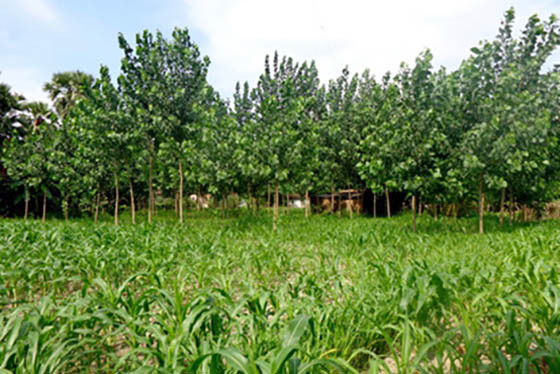 A farmer centric pilot modeled on climate-smart village in the mountains will directly support farmers and generate knowledge on adaptation measures in agriculture. A possible partnership with CCAFS to explore the possibility of adopting the climate-smart village concept with mountain perspectives is under discussion. 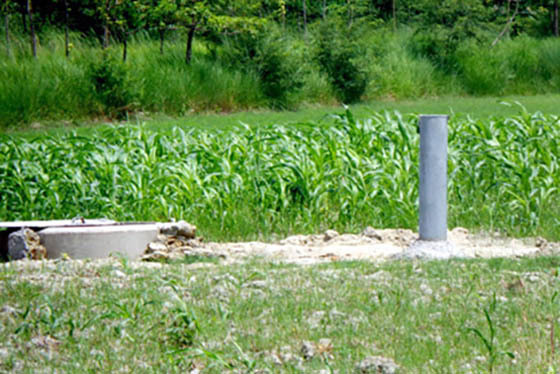 Climate-smart villages have been successfully implemented across East Africa, West Africa, and South Asia, and are being considered for implementation in Southeast Asia and Latin America.